"An Intriguing End to the First Portion of Hannibal's Story"
The last two and half seasons have been spent chasing Hannibal Lecter around the world. And, with "Digestivo," Will, Jack, and Alana finally got their man. There was an awful lot to like about the episode, from Will and Hannibal finally getting to the heart of their complex and dark relationship in Hannibal's last few moments of freedom and Alana and Margot getting some sort of happy ending of their own. And, if the series ended here, I would be perfectly content with these as the final moments. But I am cautiously optimistic about these final six episodes of Hannibal, which will delve into the real bulk of the "Red Dragon" story arc. There's an awfully large amount of story to cover in a short time, which I suspect will mean that some elements of the story will be cast aside. But I really want to see how the Will-Hannibal dynamic continues to grow and change now that we will have a large fast forward to contend with. Before we get to that future moment in time, I want to take a few moments to break down the first portion of the third season and deal with what worked and what didn't within this particular arc. First, for the good. There was so much rich character development throughout this first half of the season that I'm not sure the series can reach the same heights with the new characters we are about to be introduced to in the back half. Alana was finally given a true purpose in these final several episodes, and while I don't quite buy the Margot-Alana relationship (although, both women deserve some happiness, so I certainly won't begrudge them that), seeing Alana in control and manipulating the outcome of events (so far as one can ever manipulate something when Hannibal is involved) was a joy. For the first two seasons, Alana was a sounding board for Will and a plaything for Hannibal. Giving the character agency to dictate the action of the series was a brilliant move on the part of Bryan Fuller, and it really gave Caroline Dhavernas a chance to shine. 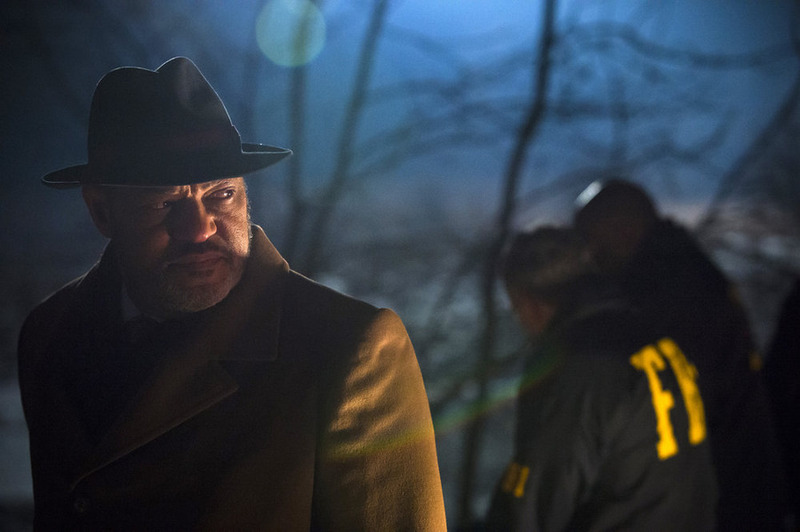 [caption id="attachment_72628" align="aligncenter" width="600"] HANNIBAL -- "Digestivo" Episode 307 -- Pictured: Laurence Fishburne as Jack Crawford -- (Photo by: Brooke Palmer/NBC)[/caption] Speaking of getting a chance to shine, Fuller also gave us a chance to see Gillian Anderson at her absolute best. Anderson was spectacular throughout this first half of the season, going to toe-to-toe with Mads Mikkelsen and and giving us a look into how Hannibal can truly mess with the psyche of even the strongest and most disciplined people. I cannot express how thrilled I was to see Bedelia make it out of Hannibal's clutches alive, and I can't wait to see how she factors into the second part of the season. But the best elements of the first half of this season (and in "Digestivo" as well) were the moments between Will and Hannibal. When the pair were separated, the show lost some of its spark. But this week, seeing Hannibal finally dismissed by the one person in the world he respects and seeks acceptance from was harrowing. And, seeing Hannibal turn himself in to make sure Will knows where he can be found was all the more difficult to watch. Yes, we all know Hannibal must end up in prison. But to see that the decision was Hannibal's was a key moment in his character development and his relationship with Will. As Alana told us earlier in the episode, Hannibal plays with everyone. He's playing with Jack, and he's playing with Will. 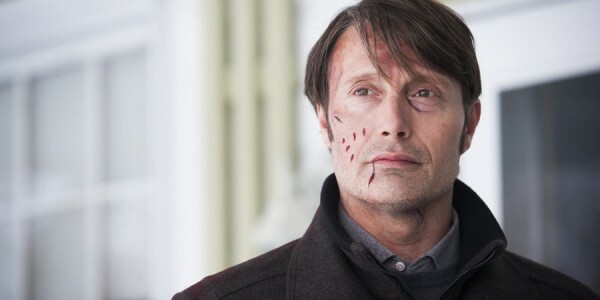 Hannibal wants Will to be able to find him (and, as the show still has six more episodes left, it's safe to say Will will eventually find Hannibal behind the prison glass), but he also wants to maintain some level of control over his life. He dictates the terms of his capture. Which means Hannibal is only biding his time until it's time for his next game to begin. This first half of the season did have two pretty glaring issues. First, the character of Chiyoh never moved beyond a plot device into a character. There just wasn't nearly enough time to give to Hannibal's personal backstory while still attempting to tell as much of the "Hannibal" book arc as possible. I never bought into the relationship between her and Hannibal (or really understood how she fit into his life, especially since Chiyoh is so much younger than Hannibal). I'm not sad to see the character fade off into the sunset. The other element that didn't quite work was the reliance on the "Hannibal" story. Yes, a large element of that story was missing since we don't have a Clarice Starling, but chunks of the narrative felt forced. 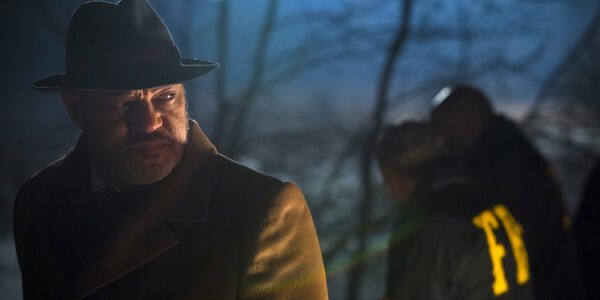 I could have done without the Verger arc (although, seeing as the show won't ever reach the "Hannibal" period of Hannibal's story, I guess it's better to get as much of the books retold as possible), as it dragged and the quest for a Verger heir was particularly disturbing in a bad way every time it was mentioned. The Italy story was also a bit cumbersome (I still don't understand why Jack didn't just knock out Hannibal when he had the chance- it was one of the most glaring instances of stupidity for plot's sake on a show that is normally above that). While I liked the chance to spend time with these characters on a one-on-one basis, a little streamlining would have helped move things along and may have given us some more time with the Tooth Fairy (and, if the previews are to be believed, I think we will want to spend a lot of time watching that character develop). As an ending to the massive two and a half season story arc that has led us to "Red Dragon," "Digestivo" was an excellent episode. Relationships were wrapped up and Hannibal is now where we knew he would be going from day one of the series. It has been a glorious ride to reach this place, and the upcoming story will benefit greatly from the extensive character development that has occurred so far in the series. Having seen both film adaptations of the novel "Red Dragon," I'm far less excited for the story to play out on television (although I think Fuller's casting choices for the new main players are excellent) than to see how the drama unfolds knowing Hannibal and Will's relationship so intimately. That is where the joy of these final six episodes will be. And I cannot wait to see how that relationship deepens and shatters. 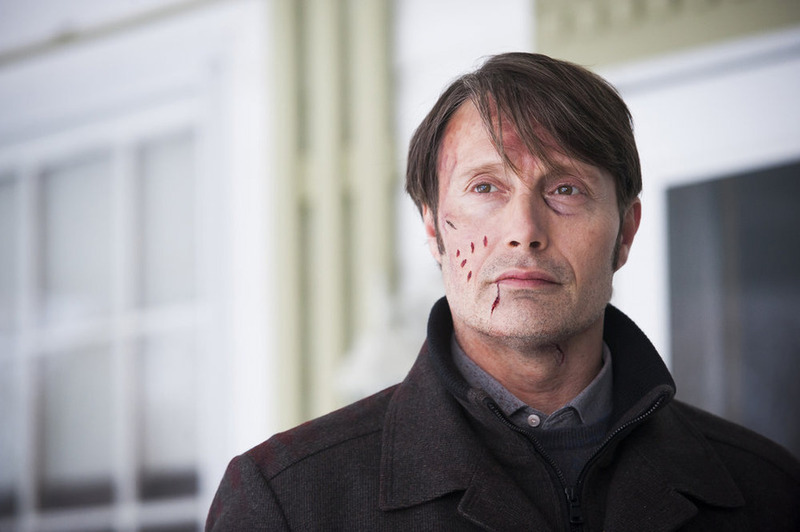 [caption id="attachment_72627" align="aligncenter" width="600"] HANNIBAL -- "Digestivo" Episode 307 -- Pictured: Mads Mikkelsen as Hannibal Lecter -- (Photo by: Brooke Palmer/NBC)[/caption] Final Thoughts: -- This is the last episode of the series with a food course as a title. Fitting, since Hannibal will be locked up and no longer enjoying the delicacies of his past. But also a bit of a bummer, since I really enjoyed seeing what food course would be used from week to week. -- A bit of a spoiler, but one I think everyone should be aware of heading into next week's episode. Episode eight will jump the action of the series ahead three years, so the characters as we last saw them at the end of "Digestivo" will be much different and in different places within their lives when next week's episode begins. Just wanted to throw that out there, since there's every chance for whiplash when certain characters may have made life changing choices between this week and next. -- A locked up Hannibal means we get to see Dr. Chilton. And more Raul Esparza is always an excellent thing.